Luckily I found Jonathan at Aquaguard. He came quickly to give me a quote and walked me through the whole basement to show me where the leaks were. As it turns out there were only 2 small cracks and the rest were leaks from the tie rods. He came back to do the job and he was efficient and tidy. My leaks are gone and at a fraction of the cost of the other companies. I am so happy to have found someone who was honest and knowledgeable. I would highly recommend Aquaguard! Thank you for submitting a review on AquaGuard Injection & Waterproofing foundation crack and tie-rod hole injection repairs. It is always a pleasure to receive feedback on our honesty and integrity; it is of great importance to our company to be trusted by homeowners in need of basement waterproofing repairs. 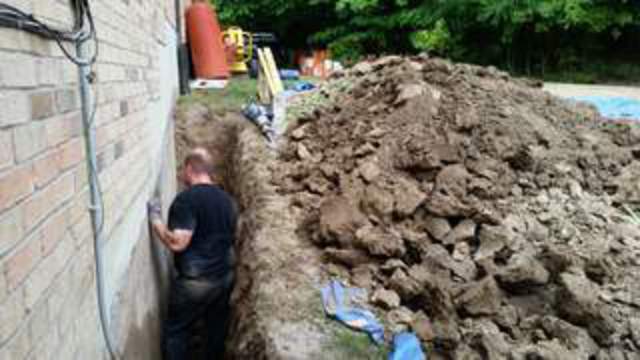 Your review will help others in the GTA looking for a trustworthy contractor for foundation crack and basement leak repairs. Thank you for taking the time to share your thoughts on the quality of our services. I am very happy with the level of service I received from Aquaguard. I woke one morning to find the utility room in my basement had flooded due to a crack in the foundation wall. Aquaguard was able to arrange a service call for me within 2 days and the cost of the repair matched that was given to me over the phone. My repair tech was Jon, he was polite, friendly and highly knowledgeable. He was happy to answer the plethora of questions that I had (which I am sure he answered the same ones 100 times before) as if they were all good questions and appreciated my concerns. He worked quickly and cleanly and was more than tolerant of my cat supervising his every move. Thank you to Jon and the rest of the Aquaguard Team! Thank you Jessica for your wonderful review of our foundation crack repair services. 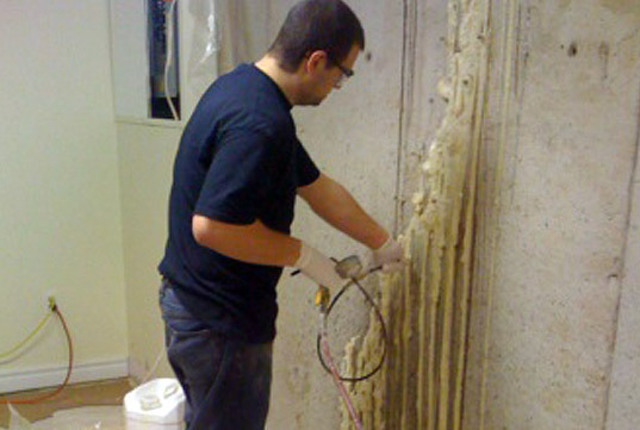 We try hard to please our customers and provide them with professional waterproofing services. 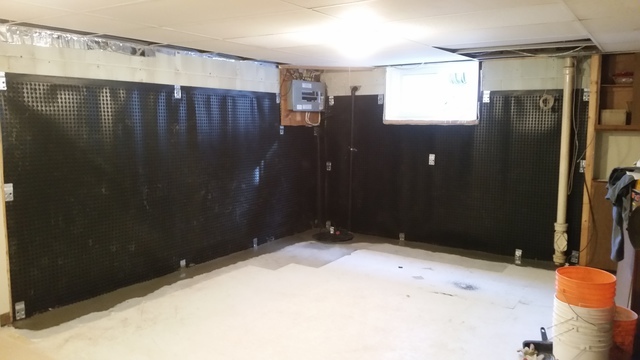 Thanks again for sharing your experience with AquaGuard Injection & Waterproofing so that other homeowners will be able to pick the right company for leak repairs in their basements. Thank you Rob for taking the time to post your review of your foundation crack repairs with our company. We are gratified for your recommendation and certain it will give other homeowners the confidence to use AguaGuard's services for their own waterproofing needs. Thanks again for being such a valued customer. I contacted Aquaguard about having 3 foundation wall cracks filled/repaired in my poured concrete basement foundation walls. Two of the cracks have had water penetration in previous spring thaws. Luc responded very quickly to my inquiry and answered multiple follow up questions from my side. In the end, he recommended polyurethane crack injection based on my description of the foundation condition and issues. He was able to schedule my repairs very quickly, within a couple days. John arrived on time for the appointment and completed the work diligently and efficiently. He was able to answer all my question during the visit and made sure everything was cleaned up after performing the work. After the recent temperature swing to +7C and the resulting snow melt/thaw, I am very happy to say that I had absolutely no leaking whatsoever. Had these not been repaired, I most certainly would have had some water/puddling in the basement at these locations. I'm very happy with Aquaguard and would definitely recommend them to others in need of this type of foundation/leak repair. Thank you for posting this review, it is always a pleasure when a client is truly satisfied; it is indeed rewarding. Polyurethane crack injection is a very effective way to seal foundation cracks and I am confident that the crack repairs will last for decades. Thank you for posting this review for all homeowners in the GTA with basement leaks. I would like to thank Aquaguard and John for the great job that was done fixing the crack in our foundation. They were able to schedule an appointment the same day I called, which was great. John also noticed another small area that needed attending to which we did not notice, much appreciated. Strongly recommend Aquaguard. Thank you Brad for posting a review for other homeowners to consult, as we specialize in foundation crack sealing. Business integrity and customer service excellence are of paramount importance to us. Thank you again for your review. Jon showed up right on time, explained clearly what needed to be done, was done quickly and cleaned up after the fact. Answer all my questions politely and was great to deal with. I highly recommend using him if you have to deal with a leak in your basement. Thank you David for taking the trouble to leave a review of your foundation crack repair experience with our company. Jon is a valued member of our team; your compliments will be passed on to him. Thanks again. 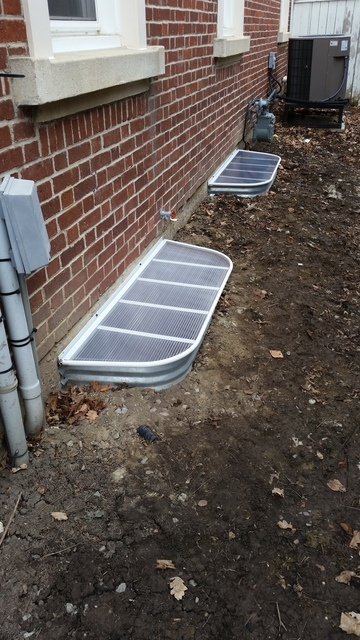 Asked for a quote via their website - fast response and had a contractor (John) come within a week. John was knowledge, efficient and professional. Did an acid flush and Polyurethane Crack Injection on a vertical crack in the corner of my basement. Cleaned up after the work and I paid with credit on the spot and now I have a 25 year warranty (which is awesome) for the crack. When speaking with them - it seems like they do this a lot (condos/parking garage etc) so I felt like I had an experienced guy working on my crack. Thank you Kevin for your glowing endorsement. 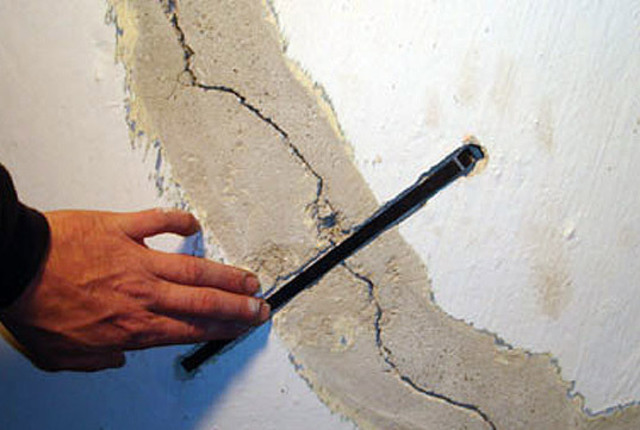 It is true that concrete crack injection and repair is our specialty. We are glad that you had a positive experience as our goal is to provide excellent work and great customer service to our clients at all times. Thank you for taking the time to post this review as it will undoubtedly benefit others in their search for reliable waterproofing contractors. Luc came on time to check thoroughly, found out it was a broken pipe which caused the problem, and offered no charge for inspecting and gave valuable advice. Thankyou so much. Thank you for your kind words Edward. Since we always strive for customer service excellence, our clients' satisfaction is the best affirmation we can receive. Thank you for sharing this review. I called Aquaguard to correct a couple of active leaks from tie rod holes that I found during a basement renovation. There were also a couple of other areas where I found mold or carpet stains. John and Luc came out to take a look. They checked my entire basement where I had concerns, and were able to figure out where the leaks were coming from. They found a foundation crack which I never would have found until the problem would have been bigger. I didn't even know there was a problem in that area. Damp insulation was the proof after opening up the vapor barrier and insulation, so Luc was right on about that area. They were able to address every area that had signs of mold, and offered many helpful tips and bits of information. They didn't leave until all my questions were answered, and all areas examined and addressed. I am very glad I gave them a call, and can rest easy now that the immediate issues have been taken care of, with a 25 year guarantee. Aquaguard was the best call I have made in the last few years! Thank you very much for such a positive, unsolicited review. We always try our best to fully meet the needs of our clients. Your review provides confirmation that we are doing what our clients want and need. Thank you again for taking the time to post a wonderful review from which others will surely benefit. I found Aquaguard through a combination of Homestars and a referral from a friend. With good reviews and a reference they seemed like a good bet and I was not disappointed. Jon came out quickly to take a look at the situation, we had several leaks in the basement behind the drywall with no idea how much work was necessary but fearing the worst. After a thorough inspection Jon gave us a clear idea of likely problems and clearly communicated costs. We made an appointment immediately and he was there on time and ready I work. He was professional, thorough and personable. The price was reasonable and the work well done. We thought we had another new leak several days later and John came out at short notice to take a look. It wasn't a foundation leak so there was nothing for him to do but I appreciated the prompt response. I would recommend Aquaguard to anyone with a basement leak. Thank you Chris and Marlon! If you have a crack in your foundation or your basement is wet and leaking call the experts you can trust for quick and inexpensive repairs. At AquaGuard Injection, waterproofing is our specialty and it is the only service that we offer. 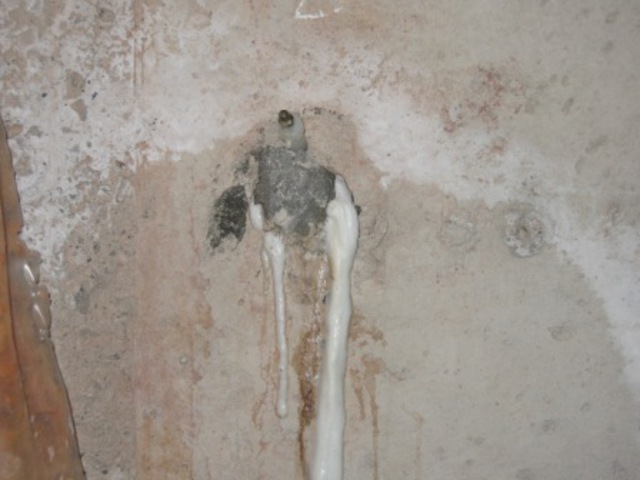 We can provide you with all waterproofing repairs for poured concrete and concrete block foundations. The work that we do is to the highest standard available. 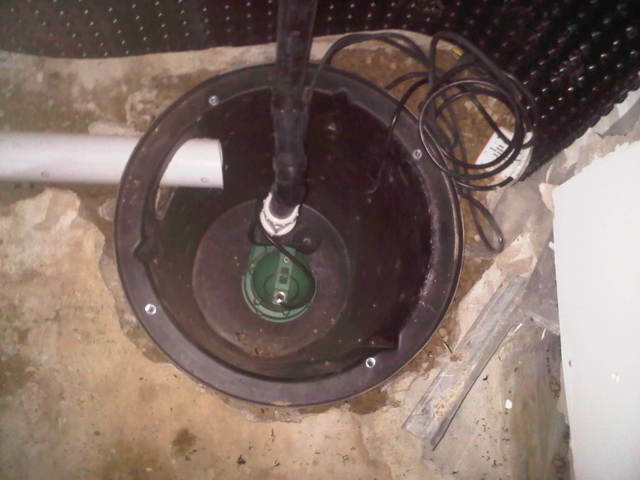 We know our stuff and work with you to fix your basement foundation leaks and cracks within your budget. Choosing us assures that you get the best basement waterproofing solution, a fixed price repair and a solid transferable warranty. Furthermore, we are an accredited business with the BBB with a rating of A+. Our prices are competitive, our waterproofing services come with a 25 year transferable warranty and most wet basement repairs can be done from inside!